Cherries have a short but glorious growing season. I don’t grow them myself but I am fortunate enough to know someone who does, and who has kindly donated some to me for this recipe. The centrepiece is a wonderful chocolate mouse adapted from a brilliant recipe by Gabriela Llamas, a chef who runs an acclaimed cookery school in Madrid. As with all my recipes, the eggs I’ve used in this dish are free range and organic. By nature the hen is a woodland bird, which in the wild would be both “free range” and “organic” – able to wander about freely and to peck and scratch for food in the ground. The term “free range” when applied to eggs is defined in EU legislation as meaning that the hens must have “permanent access to an outside area with adequate vegetation” during the daytime, a definition which can still cover quite a range of conditions. Buying eggs which are also labelled “organic” is a guarantee that they come from hens kept in conditions approved by the Soil Association, where the hens have to be given much more individual space and greater access to the outdoors than would necessarily be the case if they were solely “free range”. The alternative to “organic” and “free range” is the cheaper egg that come from hens kept in what are called “enriched” cages. These are the successor to battery cages (which are now banned under EU legislation). In these so-called “enriched” cages, the hens must be given enough room to “perch”, to “scratch” and to “stretch”. When you consider that this can still mean each bird has an allowance of space smaller than a sheet of A4 paper, you will understand how appalling their conditions can be, and you will also get some idea of how inhumane some of the now outlawed battery cages must have been. Half of all eggs currently sold in the UK come from hens kept in these “enriched” cages. On the other hand, that means, of course, that half now come from hens kept in free range and organic conditions. This represents a major turn around from just a generation ago, when free range and organic eggs represented a tiny proportion of total egg sales, and it provides proof that we consumers can make a difference by making informed and ethical decisions about what we buy. Unusually, the chocolate mousse in this recipe includes olive oil as well as eggs, but it is the inclusion of that ingredient which makes this so astonishingly special, helping to create a beautifully light, nougat-like consistency. 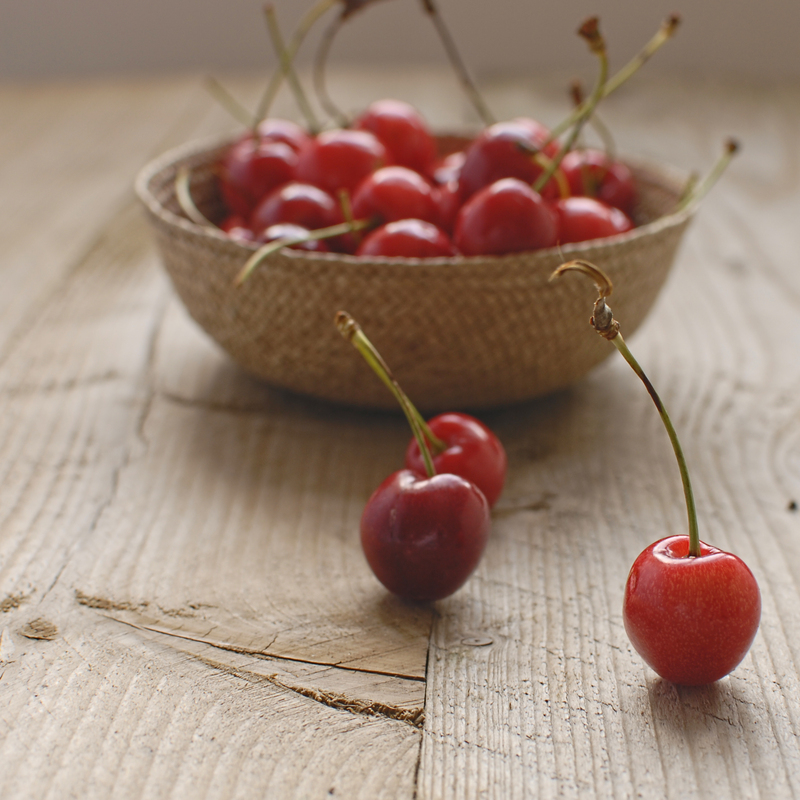 The cherries here are infused with a combination of kirsch, cinnamon and star anise to intensify their flavour. 1. 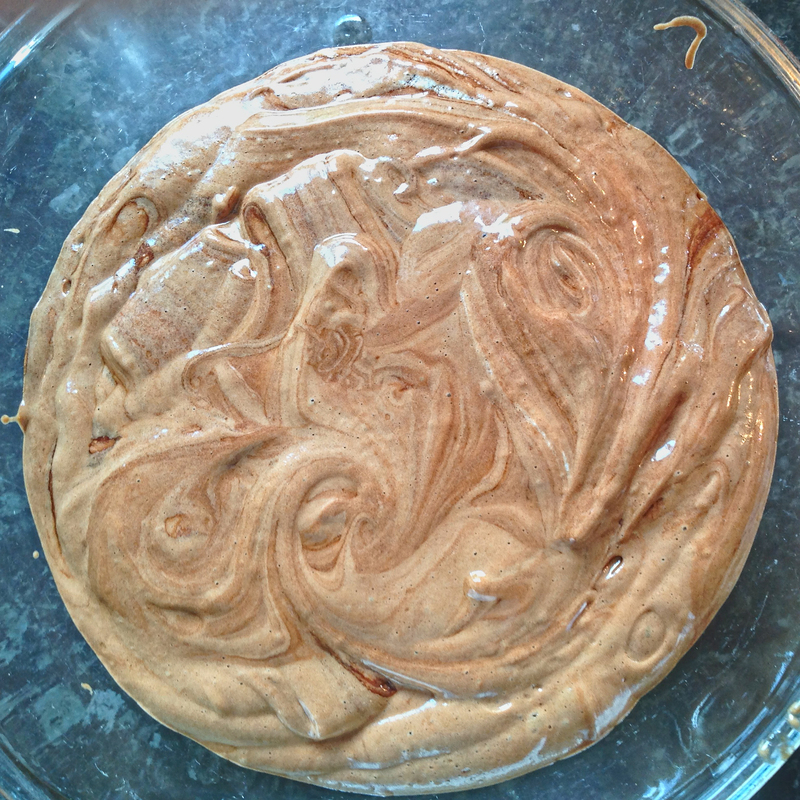 For the mousse, break the chocolate into a bowl over a gently simmering pan of water. Once the chocolate has melted, add the olive oil slowly, stirring it in as you do. Remove from the heat and set to one side. 2. Beat the egg yolks with half the sugar until pale and fluffy. Pour the chocolate and olive oil mixture into the egg yolk mixture and stir to combine. 3. Whisk the egg whites with the salt until stiff. Continue whisking, gradually adding the rest of the sugar. Fold this egg white mixture gently into the chocolate until it is all incorporated. Chill in the fridge for at least 4 hours. 4. Now for the cherries. Place the kirsch, water, caster sugar, star anise and cinnamon in a saucepan and gently heat to a simmer. Stir to ensure the sugar has been absorbed and leave to simmer for five minutes, by which time you should have a syrup that will coat the back of a spoon. 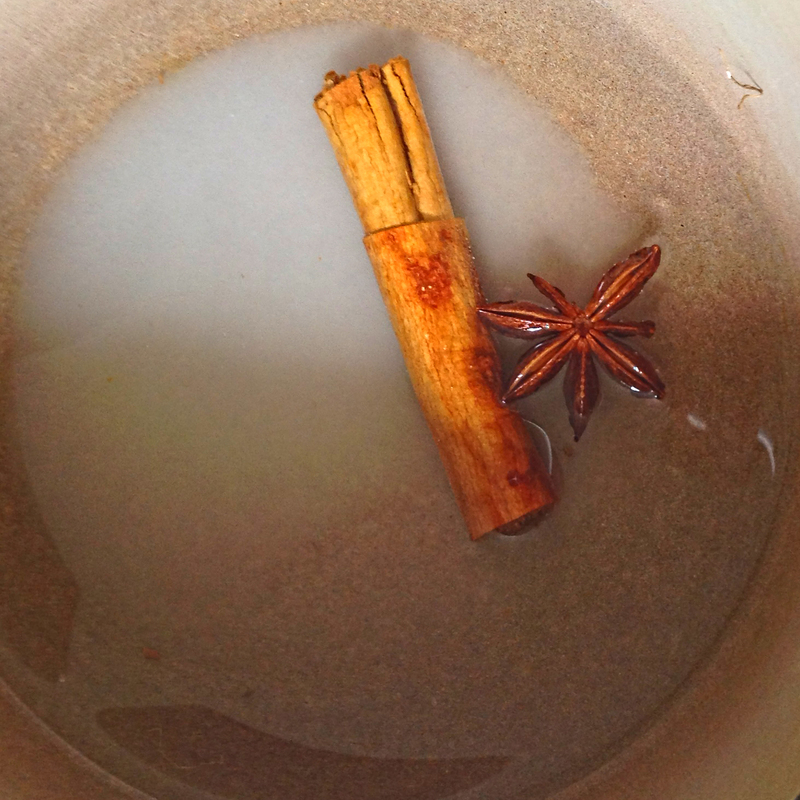 Leave the syrup to cool for five minutes, then remove the cinnamon and star anise. 5. Place the cherries, stalks still attached, in a small bowl and pour the warm syrup over them. Set to one side to cool until you are ready to serve the mousse. 6. Place a generous tablespoon of the chocolate mousse onto a place. Surround with a few of the cherries, drizzled with a little of the syrup. Wow this looks and sounds divine. I feel like I’m already shouting more! (Please). 50% of eggs sold being free range sounds like a positive step forward… just another 50% to go. Your chocolate mousse looks delicious and well worth searching out the best possible eggs to make it with.